The official verdict is out — Pacific Gas & Electric’s smart meter technology has been working properly, but its customer service hasn’t. That’s the conclusion of a state-ordered report released Thursday from independent analysts at the Structure Group, taking on widespread complaints about overcharging and malfunctioning meters in the wake of PG&E’s ongoing smart meter rollout. Whether this report affects the course of a lawsuit against PG&E on the smart meter front, or calls for a moratorium on smart meter deployments from officials in San Francisco, Marin County and elsewhere, remains to be seen. Thursday’s report, unveiled at a California Public Utilities Commission meeting in San Francisco, closely matched one that PG&E itself delivered in May. As Stacey Wood with Structure Group put it, “We found no systemic issues beyond the specific issues already reported by PG&E.” In fact, out of the 1,378 smart meters tested, all proved reliable at levels “consistent with industry standards” and provided “accurate meter data flow to billing,” she said. That means that the price increases customers blamed on smart meters are due to other factors, Wood said, including a heat wave that boosted air conditioning use and rate increases over last summer that “were amplified because of the impacts of weather.” In fact, given that some 5 percent of the older mechanical meters being replaced weren’t working properly, it’s possible that customers seeing higher bills after smart meter were installed may have actually been getting under-billed before, she noted. But PG&E did incorrectly apply new rates in a few cases, and some customers on a low-income rate reduction program saw billing inaccuracies, Wood added. Those problems tied into a general lack of customer support and complaint management on the smart meter front, Wood said. PG&E “provided little communication on the new meters,” and once complaints started to come in, PG&E “did not utilize new information such as interim measurements” from the new smart meters, which could have helped answer customer questions, she said. Compared to a set of industry best practices, the report discovered “several items of partial or non-compliance, particularly in the areas of complaint troubleshooting and account billing.” That included a too-high tolerance for billing mistakes to be passed out of the system, she said — bills were at first only being checked if they exceeded $1,700, before that trigger was shifted down to a more reasonable $300, she said. That’s when smart meters were actually being used for billing, she noted — but because PG&E was installing meters faster than it could start using them, manual meter reading continued for an average of 131 days after a new smart meter was installed before it was “utilized from a billing perspective,” she said. CPUC President Michael Peevey singled out PG&E in Thursday’s meeting, saying that it accounted for the vast majority of complaints to the CPUC about smart meters in the state. By comparison, deployments at San Diego Gas & Electric and Southern California Edison have yielded almost no complaints, he said. PG&E’s smart meter rollout also included a major mid-stream shift in technology. While the utility began by deploying electricity meters from Aclara, it later found that up to 5 percent of those meters were performing below expected. PG&E switched to new smart meters made by General Electric and Landis+Gyr and embedded with networking gear from startup Silver Spring Networks — and those meters, Structure’s report found, have been performing within industry guidelines. PG&E has also beefed up its customer relations to include a dedicated smart meter hotline and walk-in centers in Oakland, Fresno and Bakersfield, the latter city home to customers at the center of the class-action lawsuit against it. Just how Thursday’s report will affect that lawsuit remains to be seen. A Texas state judge ruled earlier this month that a similar customer lawsuit against utility Oncor should be handled by the state’s PUC, rather than in the court system. A PG&E spokesman told me Monday that a California state court judge was awaiting clarity from Thursday’s report before making any potentially similar rulings in PG&E’s case. Whether the court will more heavily weight PG&E’s clean bill of health on smart meter technology, or the findings of less-than-stellar account and customer management, is an open question. It’s also too soon for Thursday’s report to determine how the CPUC will respond to requests to halt PG&E’s smart meter deployment, commissioner Nancy Ryan said. San Francisco City Attorney Daniel Herrera had asked CPUC for a moratorium on smart meter installation until the release of Thursday’s report addressed overcharging concerns. Utilities in Maryland and Hawaii have seen their smart meter deployment rejected on the grounds that they rely too much on raising customer rates. Thursday’s CPUC meeting did draw people protesting against smart meters, but not on concerns of overcharging. Rather, a dozen or so people claimed that the electromagnetic radiation being put out by the smart meters has been making them sick, and others cited studies claiming a link between electromagnetic radiation and health risks including cancer. Fairfax, Calif. officials have cited these health concerns in demanding that PG&E not install smart meters in the city. 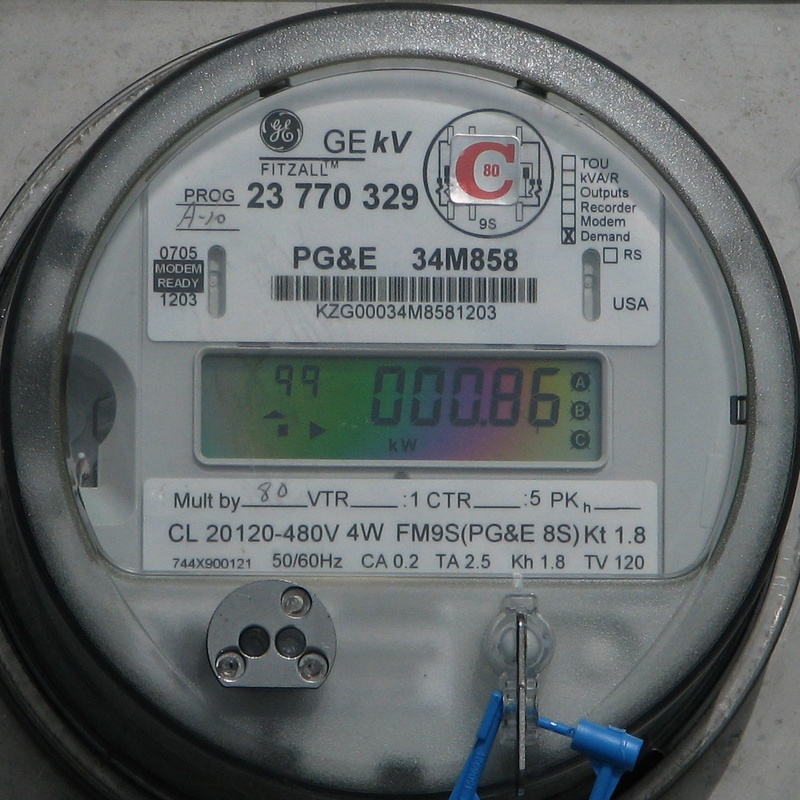 PG&E contends that smart meters are far less powerful than cellphones and other radio devices. In any case, the Federal Communications Commission has collected a wide array of studies on the health effects from electromagnetic radiation to give guidelines that PG&E must follow in deploying radios in smart meters in neighborhoods, and Peevey said CPUC would defer to the FCC on that matter. Thanks for the great overview of this matter, good backgrounder. I love the people who were protesting smart meters over radio exposure. Funny! The first month my smart meter was installed, my bill instantly jumped. The support person on the phone blamed it on the last read of my old meter. He said the person who read my meter the prior month did it wrong and read it incorrectly by one digit. The smart meter “automatically compensated” for the incorrect read and I wasn’t able to get an adjustmet on my bill. It seems odd that in all the years I’ve paid for my PG&E I’ve NEVER ONCE had an issue and then suddenly the first month of a smart meter and I’m being charged more.